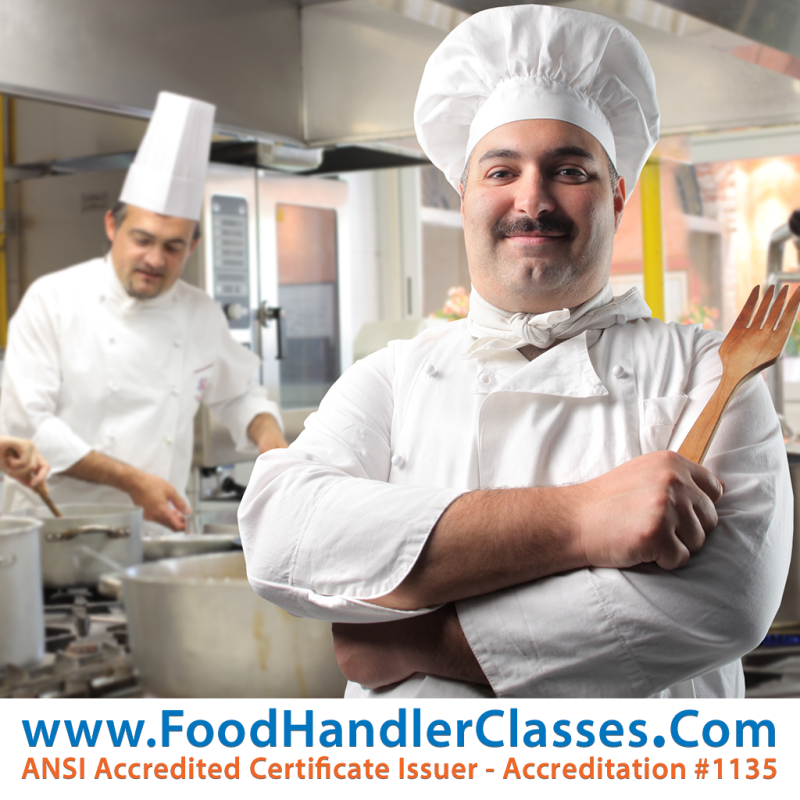 EduClasses® is pleased to offer you the opportunity to provide professional quality food handler safety classes to individuals working in the food industry. Now accredited by ANSI, the American National Standards Institute. 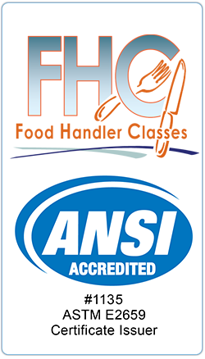 FHC's ANSI Accredited Program Certificate Issuer ID number is 1135. Learn more. These classes will instruct on the proper process and procedures involved in safe food handling and have been recognized, approved and accredited by the Texas Department of State Health Services. The FHC course is also approved and accepted in other states as well. Our belief is that professional training in an easy-to-use, standardized format will increase both the quality and production of food and food-related establishments while ensuring a safe and healthy environment for employees and patrons. Utilizing our web-based service in your business, organization, or governmental department will help to ensure good "best practices" within your local or extended food industry by providing a reliable standard of training for those employed in the field. In addition, the provision of such training will demonstrate your commitment to the health and safety of our citizens. EduClasses® will work as your service provider to implement, host and manage your web domain and internet marketing effort. Your site will be uniquely customized to represent your business and we can have it up and running within a short time frame. There is no investment, set up or upfront fees on your part. It is a zero-risk investment. Thank you for considering FoodHandlerClasses.com and EduClasses®! One of the great things about summer is the extraordinary..
WASHINGTON, June 28, 2018 – A new study from the U.S..
Is the Home Cooked Meal a Thing of the Past?